Note to Editors: Experts in quitting smoking are available for comment. 1. Talk to your doctor or pharmacist about the different over-the-counter and prescription medications to help you quit smoking. 2. Look into the different options available to help smokers quit. Visit www.lungusa.org or call 800-548-8252 for suggestions. 3. Take time to plan. Pick your quit date a few weeks ahead of time and mark it on the calendar. If you can, pick a day when life�s extra stresses are not at their peak, such as after the holidays. Mark a day on the calendar and stick to it. 4. Get some exercise every day. Walking is a great way to reduce the stress of quitting. Exercise is proven to not only combat weight gain but also to improve mood and energy levels. 5. Eat a balanced diet, drink lots of water and get plenty of sleep. 6. Ask family, friends and co-workers for their help and support. Having someone to take a walk with or just listen can give a needed boost. 7. You don�t have to quit alone. Help is available online and in your community. Consider joining a stop-smoking program like Freedom From Smoking (www.ffsonline.org) from the American Lung Association. The American Lung Association�s Freedom From Smoking (FFS) program has helped thousands of people quit smoking and is considered the gold standard for its clinically proven techniques. Busy people can participate in the newly-redesigned Freedom From Smoking Online (www.ffsonline.org) from the comfort and privacy of their home. For no cost, people can choose a Basic FFS Online membership which includes a complete, eight-module program. For minimal cost, a Premium membership includes the eight-module program, access to the online community, and other resources such as message boards and downloadable relaxation exercises. The multi-step Freedom from Smoking program is also offered in a group setting, as many participants find the support of others a beneficial component of the quitting process. Individual interested in the group clinic option should contact their local Lung Association. A complete list of Lung Associations can be found at www.lungusa.org. About the American Lung Association: Now in its second century, the American Lung Association is the leading organization working to save lives by improving lung health and preventing lung disease. With your generous support, the American Lung Association is �Fighting for Air� through research, education and advocacy. For more information about the American Lung Association or to support the work it does, call 1-800-LUNG-USA (1-800-586-4872) or visit www.lungusa.org. Some larger whale species have been recovering since the dark days before the whaling industry was regulated, but the majority of cetaceans�that is, the distinct order of marine mammals consisting of whales, dolphins and porpoises�are in decline, with some likely headed for extinction in the near term. But other cetaceans haven�t fared so well. Almost a third of the world�s 80-plus cetacean species had their Red List status changed based on the IUCN�s 2008 assessment, with the vast majority now considered at greater risk than before. Overall, nearly a quarter of cetacean species are considered threatened, and of those, more than 10 percent (nine species) are listed as Endangered or Critically Endangered, the highest categories of threat. Reeves says that the real situation could be much worse, as researchers could not obtain enough data on more than half of the world's cetacean species to properly classify their status. While commercial whaling is what first put cetaceans at risk�the IWC�s 1982 moratorium greatly reduced stress on many species�other threats loom larger than ever: Whales the world over withstand ship strikes, habitat deterioration and declining prey. And the smaller cetaceans (dolphins, porpoises and small whales) often drown in huge fishing nets that trawl the ocean scooping up everything in their path. And of course commercial whaling still goes on despite the moratorium. Norway, Even with its IWC membership, disregards the moratorium and resumed commercial whaling in 1994. 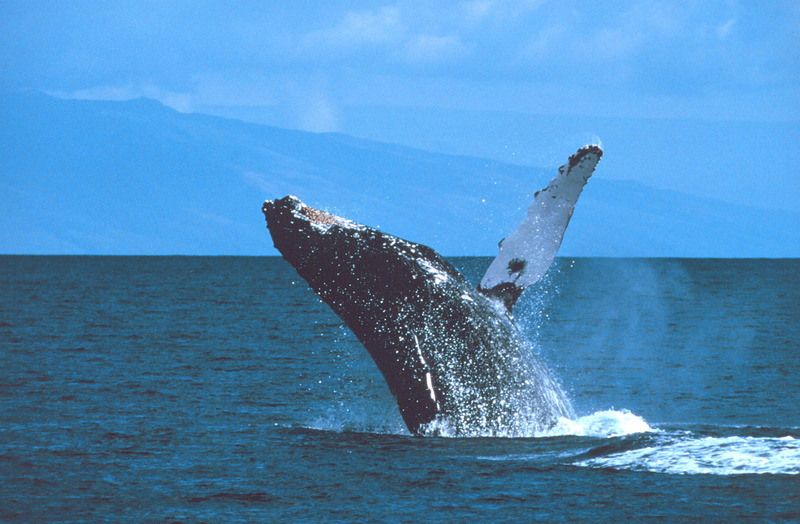 Iceland, which initially withdrew from the IWC over the moratorium, began commercial whaling again in 2006. Japan claims to hunt whales for scientific research purposes�but critics say this is just a front to obtain and sell whale meat under the false pretense of species counts. Whalers from several nations, including the U.S., hunt limited amounts of cetaceans for subsistence purposes, but these numbers are very small. The IWC is a voluntary organization not backed up by any treaty, so its ability to regulate whaling is limited. Perhaps the biggest factor in nations� willingness to honor the moratorium is the court of public opinion; awareness of the plight of cetaceans has skyrocketed since the 1960s when environmental groups like Greenpeace first began publicizing the threats faced by the largest creatures on the planet. Today �Save the Whales� might seem like a clich� from bygone days, but with so many cetacean species in decline, it just might be a more needed environmental battle cry than ever before. CONTACTS: IUCN, www.iucn.org; IWC, www.iwcoffice.org; Greenpeace, www.greenpeace.org.